Smartphones are a great way to check in on the latest weather predictions, but new research aims to use the batteries in those same smartphones to predict the weather. 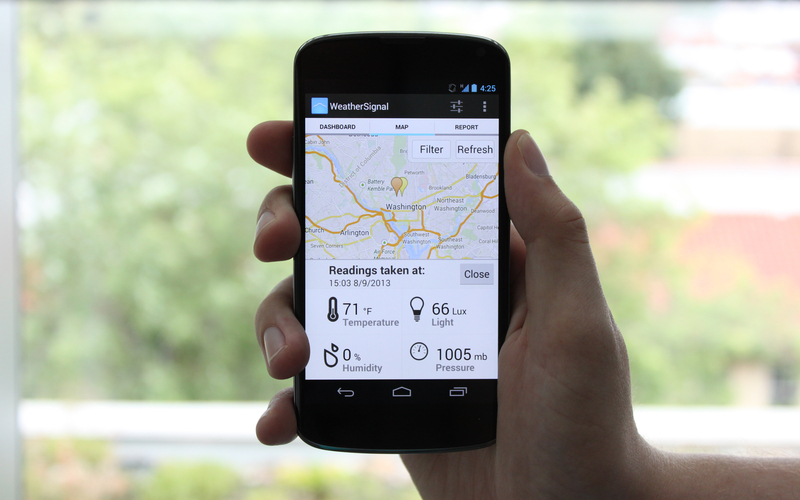 A group of smartphone app developers and weather experts created a way to use the temperature sensors built into smartphone batteries to crowdsource weather information. These tiny thermometers usually prevent smartphones from dangerously overheating, but the researchers discovered the battery temperatures tell a story about the environment around them. Picked up by Washington Post, Wired.co.uk, Discovery News, MIT Technology Reviews, Slash Gear, CBS News, Telegraph, Gizmag, and others.